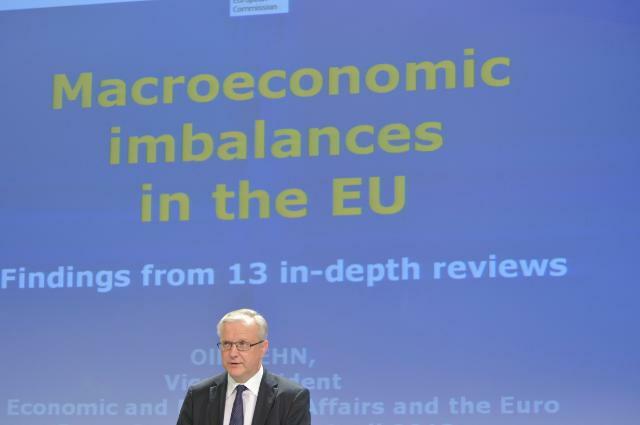 Press conference by Olli Rehn, Vice-President of the EC, on the in-depth reviews of macroeconomic imbalances in 13 Member States, (EC Audiovisual Services, 10/04/2013). For a long time now economic analysts and commentators have been arguing that government support to financial institutions was the main culpable party of excess fiscal deficits in the Eurozone and the European Union as a whole. Those are direct subsidies under the form of capital injections, quite different from the support to lenders from the European Central Bank. ECB’s backing to banks takes the form of liquidity injections through low-cost loans, in the context of the central bank’s main refinancing operations. Interest rates on those loans were close to zero, at a fixed rate to be reduced to 0.5% from 0.75% as from 8 May when the new lower rate will be in effect. Government capital injections to banks directly inflated public deficits and taxpayers obligations, sending some euro area countries to seek the ‘protection’ of the troika of European Commission, the European Central Bank and the International Monetary Fund. The three Eurozone member states (Greece, Portugal and Ireland) most tormented by the troika’s austerity programmes, were also the ones which were obliged to subsidise their home banks with sums amounting to many percentage points of their GDP. Apart from those three Eurozone member states, the so-called programme countries, many more euro area members were obliged to recapitalise their home banks in order to save their entire financial system from a total collapse. Ireland was the country to have paid the dearest price for its home banks’ financial and otherwise sins. More than one-quarter of the Irish GDP was consumed to support the country’s lenders. This operation sent Ireland to the abyss of budget deficits, a load to be repaid by at least one more generation of taxpayers. However the exact part of Eurozone government deficits caused by public support to banks was not known. Eurostat, the EU statistical service conducted a special study on this issue, under the title “Support for financial institutions increases government deficits in 2012”. For that year Eurostat found that “In 2012 public interventions to support financial institutions increased government deficits in 13 out of 19 Member States that reported such interventions. Eight Member States did not report any such interventions. The increase in deficits was particularly large in Greece and Spain. The Greek deficit increased by 4.0 percentage points of GDP and the Spanish deficit by 3.6pp, largely due to the resolution and recapitalisation of a number of banks”. Despite the fact that the problems with the banks were confined mainly to Ireland, Greece and Spain total subsidies of that kind in the Eurozone were quite substantial. According to Eurostat, ”In 2012, the overall impact on government debt resulting from past and present support for financial institutions was estimated at 5.2% of GDP for the EU and 5.5% for the euro area”. Of course government support to banks was not confined to 2012. Capital injections from the public to financial sector are being realised all along the crisis years from 2007 onwards. It is also likely that support to financial institutions will continue to have a substantial impact on government deficit/surplus of individual EU Member States also in 2013. In any case the over-all impact all along the 2007-2012 was not distributed regularly over time. Eurostat found that, “Both for the EU and the euro area, the net impact was marginally deficit-increasing in 2007, 2008 and 2009, became much more pronounced in 2010 and decreased sharply in 2011. The net impact was noticeably deficit-increasing again in 2012, largely due to bank recapitalisations and resolutions. A spike in government expenditure for 2010 was mainly due to massive capital transfers to Irish banks as well as federal and state-level liquidation agencies in Germany”.